Rebecca "Q" Walker is a researcher, designer, and speaker originally from the Boston area who, at the time of writing this, is in the process of relocating to Wellington NZ. 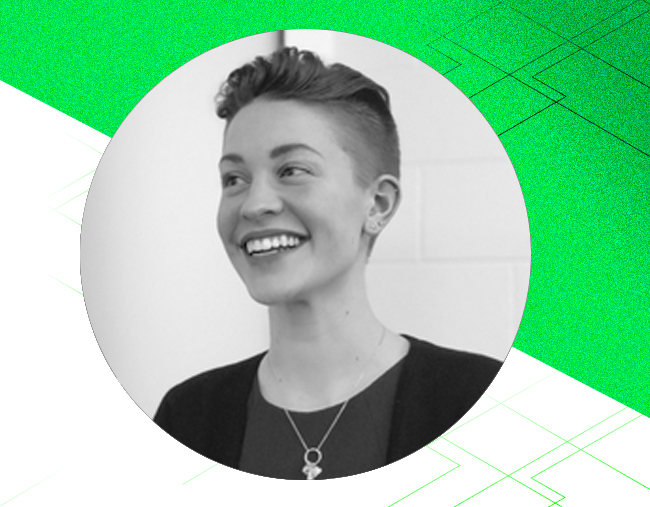 She is the Experience Lead for Uprise Digital (uprise.co.nz), having previously held roles as a UX/visual designer at Fidelity Investments and as the principal of her own design business. Q grew up on the stage as a circus performer, musician, ballet dancer, and actor, and she believes that stage performing was her first introduction to UX. She still spends a lot of time on stage as a speaker, having presented on a number of design and UX topics at conferences such as UXPA Boston, the New England Museum Association Conference, the Fidelity Data Visualization Summit, and more. She holds a Master’s degree from Bentley University's Human Factors in Information Design program, and earned her Bachelor’s degree in Illustration at Montserrat College of Art. In her spare time, Q plays baroque-era string instruments and walks a tightwire for fun.